KEN YUSZKUS/Staff photo. 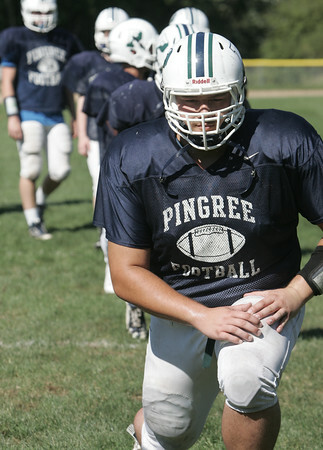 Pingree offensive lineman Nino Leone, starts warm ups. He is committed to play Division 1 football at UConn next year. 9/9/15.